What do you think of when you hear the word garage? If you said a house for your vehicle, you are part of only 25% of people who actually use their garage for vehicle storage, even though that is the intended purpose and design. For most households, the garage is nothing more than an extension of the home. When most people hear the word garage, they picture a space full of tools, shelves of extra belongings, outdoor equipment, and overflow storage. Whether you have a garage attached to your home or an enclosed detached garage, if you aren’t parking your car in it, you can use the space to start a business from your home. If your garage is already home to tools and a workbench, some home business ideas to open in your garage is an auto body shop, vehicle flipping, or a car detail shop. All of these business ideas are geared around vehicles and allow you to use supplies and the space that already exists, with very little modification. 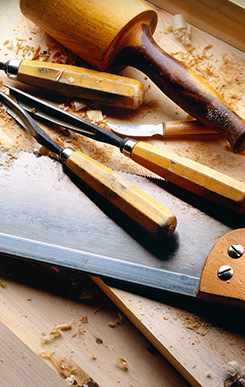 Carpentry, furniture upcycler, and bicycle repair are other options that allow you to use your garage for something resembling traditional garage uses. Performing these jobs in your garage allows you the comfort of being at home while putting your skills and supplies you already have on hand, to good use. 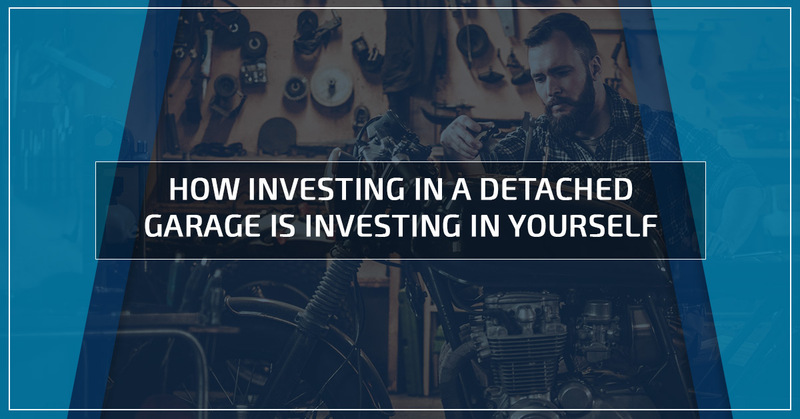 If you are an entrepreneur who would like to work from home, but you provide a service to clients, a detached enclosed garage is a fantastic place to set up shop. A few simple beautifying modifications may need to take place before opening your doors for business, but working at home on your own terms can be overwhelmingly satisfying. A few examples of services you may offer that wouldn’t require a complete redesign of your garage’s organic appearance but would require you to clean up the space, including t-shirt design and printing, custom framing, and tailoring services. A few examples that would require you to redesign the decor of your garage to make it more appealing to clientele include a hair parlor, tax preparation service, massage therapy or yoga instruction. Some other options require a functional office space for you, but may not require you to reveal it to your client. Most of these are computer-based, such as software or app developer, author, web designer, blogger, online tutor, or a virtual assistant. In this case, it may be possible to use part of your garage for your business and the remaining area for more traditional garage uses. If you have space and the talent, take the plunge and attempt to start your own business. If you have the gusto and the skill but lack the space, invest in a detached enclosed garage and get going today. For all of your detached garage needs in Georgia, Wholesale Direct Carports is your premier dealer for custom metal garages. Call to get your free estimate today. As always, if you select us as your dealer, delivery and installation are always included!